Dr. Geoffrey Seuk is a graduate of the University of Washington School of Dentistry. He also attended the University of Washington for his undergraduate studies and earned his Bachelor's of Science degree in Zoology. 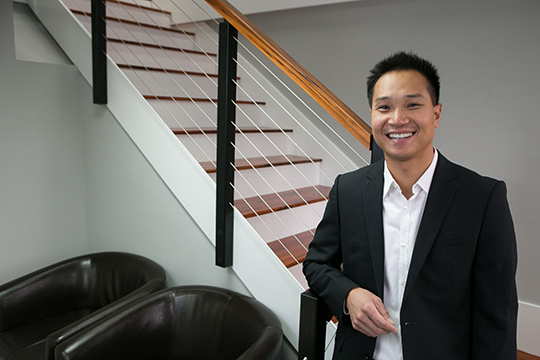 Dr. Seuk’s experience includes work in both the public and private sectors, giving him a broad and diverse dental background. He is a member of the American Dental Association, Washington State Dental Association, Seattle-King County Dental Society, and the South Lake Union Chamber of Commerce. Dr. Seuk is a life-long resident of the Seattle area, and currently resides in Bellevue with his wife Linda, son Caden, and daughter Kaylee. He is an avid sports fan, and also enjoys playing sports, reading, and volunteering his time for the community and his church. Dr. Seuk is committed to providing outstanding, state-of-the-art dental care to his patients. He believes in a conservative and gentle approach to help people achieve optimal oral health and a lasting, beautiful smile. His belief in enhancing patient care through education is reflected by his participation in numerous continuing dental education courses every year. While being dedicated to being a top-notch clinician, Dr. Seuk also takes great joy from the bonds he has established with his patients. He believes that a great dental experience also includes taking the time to build trust and a personal connection with his patients so that everyone who comes into his office is like an old friend. He looks forward to meeting you to help you in your journey to a beautiful, healthy smile.